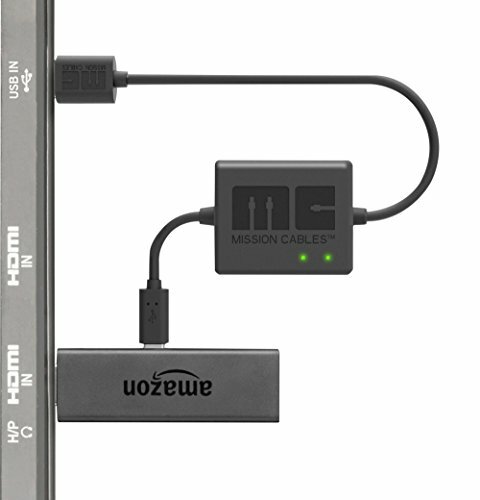 Mission Power USB cable allows you to power your Fire TV Stick directly from your TV's USB port. It's the quickest and simplest way to set up your Fire TV Stick. Mission Power USB cable includes proprietary circuitry that stores excess power from the USB port and then releases it during brief intervals when the Fire TV's power load exceeds the power output capability of the USB port. In this way the Mission Power USB cable is able to increase the peak power capability of your TV's USB port. With Mission Power USB cable, even low power 500mA USB ports can support the peak power requirements required for downloading and watching videos, gaming, etc. If you have any questions about this product by Mission Cables, contact us by completing and submitting the form below. If you are looking for a specif part number, please include it with your message.